A non-profit, incorporated charitable organization, the Naismith Basketball Foundation was established in 1989 to erect and operate a suitable memorial to honour the founder of basketball, Dr. James Naismith, near his birthplace Almonte, Ontario. The Naismith Foundation operates the Naismith Museum which is housed at the Mill of Kintail Conservation Area. The Naismith Museum shares the space with the R. Tait McKenzie Memorial Museum, which pays tribute to the life and times of Dr. McKenzie. The two men were known as the Brothers of the Wind. James Naismith and Robert Tait McKenzie; lifelong friends and colleagues, these two natives of Ramsay Township in Mississippi Mills made their mark at an international level. 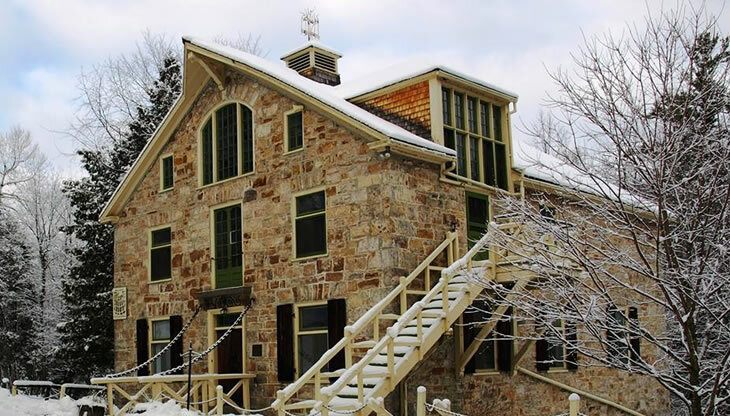 For full details about the Mill of Kintail, the Naismith and McKenzie collections, please visit the Museums & Attractions section of the website.